The teenage crew of Galahad has survived their first encounter with an alien race. 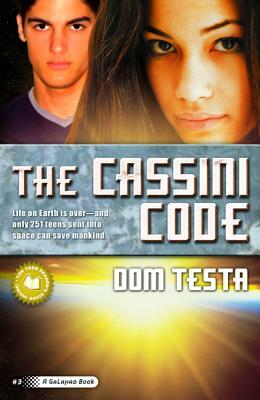 Though shaken by the power of The Cassini, Triana and her Council are determined to continue their mission. But some of the crew don't agree. Led by the charismatic Merit Simms, a small group of crew members begins lobbying for a return to Earth--just as the ship enters the Kuiper Belt, the deadly minefield of asteroids that surrounds the solar system. As Galahad dodges a storm of asteroids, Triana finds herself dealing with an increasingly hostile crew. Even some members of the Council are beginning to listen to Merit's arguments. Can Triana find a way to prevent a mutiny aboard Galahad, and lead her crew to safety?